Why Ask or Answer question? By asking or answering questions on Public Lab we build the collective knowledge base! Anyone who has Public Lab account can ask a question on Public Lab. Questions will be posted on the page in chronological order, but can also sorted by most popular and liked questions. Anyone with a Public Lab account can respond to questions. As the author of a question, you will be sent an email notification when someone responds. 1) Before asking a question we strongly recommend to Search any similar question using the Search box at the Top of questions. 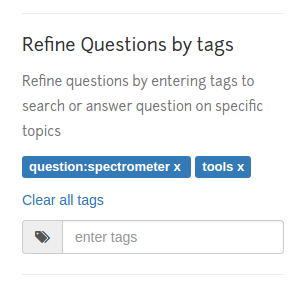 You can also sort questions by tags by typing in the Refine question by tags section in the Sidebar. 2) Add tags to indicate what the question is related to. Tags help to categorize your question and help users to search your question easily. 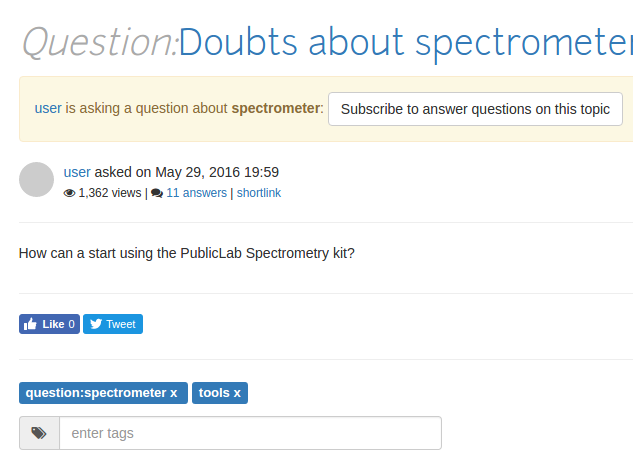 Tags are shown along with the question title on the Questions page. A good question always has well defined tags. 3) You can Subscribe to tags to get notified when a related question is posted. Like the question to get updates when a new Answer is posted by clicking the Like button at the top right corner of the Question page. Anyone with a Public Lab account can answer a question. You can answer question using the editor given at the bottom of the Question. If you are the Author of the question you can Approve a question which seems to be the right answer to your question. An accepted answer is marked with a green accepted label. Also the question is shown as answered in the Questions page once an answer is accepted. There are also other ways to appreciate an answer. You can Like an answer using the like button given below the answer. 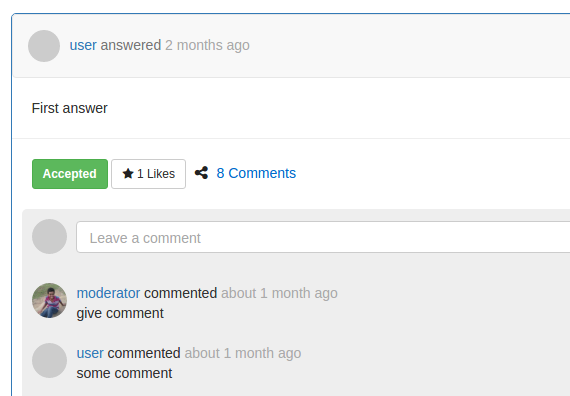 Liking an answer shows how helpful the answer is and also notifies you when a new comment is posted on the answer. Answers also contain their individual comments for any clarifications or coversations regarding the particular answer. You can aslo share the link to your answer using the Share button present below the answer. You can now easily Ask a question Or find a question to answer from the Questions Page. 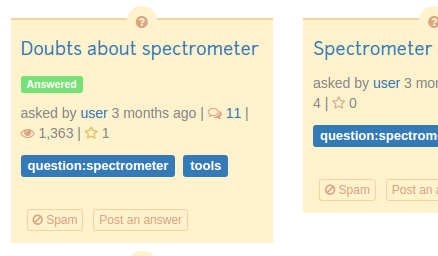 Use the Ask question button below to directly move to the Question editor.